Join Creative Healing Art for a Wet Your Palette night. An unforgettable evening of fun, friends, and art! No talent required! Just a thirst for a great time and we will provide the rest. Bring your own wine or beverage of choice. 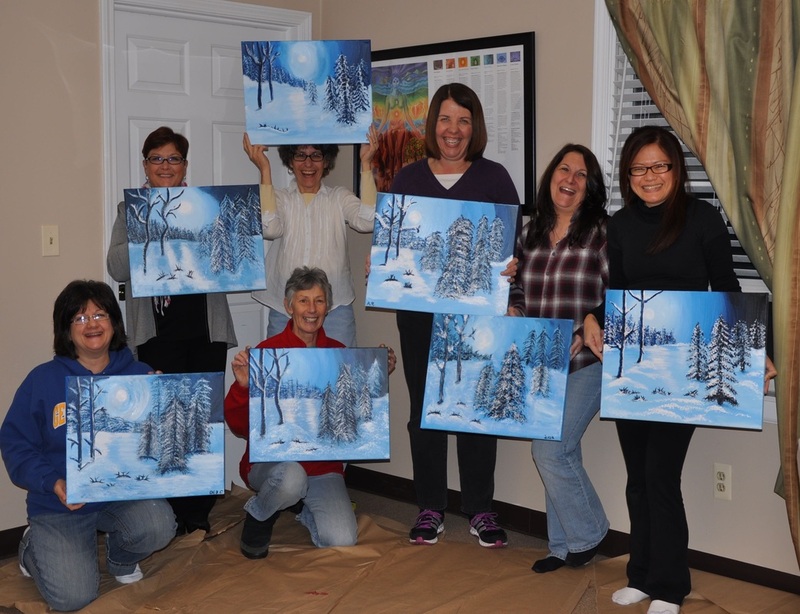 Enjoy an entertaining evening of painting, sipping wine, listening to good music and having a great time with friends! You will be recreating the featured artistic work of the evening and taking home your own masterpiece. We provide aprons to protect your clothing, but suggest you wear clothing you don’t mind getting a little dirty. We will walk you through the process of creating a beautiful painting and all your supplies (canvas, paints, brushes and apron) are provided for you. Plus, no experience is necessary! We can come to your location for a private painting event. Encaustic painting, also known as hot wax painting, involves using heated beeswax to which colored pigments are added. The liquid/paste is then applied to a surface—usually prepared wood, though canvas and other materials are often used. The simplest encaustic mixture can be made from adding pigments to beeswax, but there are several other recipes that can be used — some containing other types of waxes, damar resin, linseed oil, or other ingredients. Pure, powdered pigments can be used, though some mixtures use oil paints or other forms of pigment. Metal tools and special brushes can be used to shape the paint before it cools, or heated metal tools can be used to manipulate the wax once it has cooled onto the surface. Today, tools such as heat lamps, heat guns, and other methods of applying heat allow artists to extend the amount of time they have to work with the material. 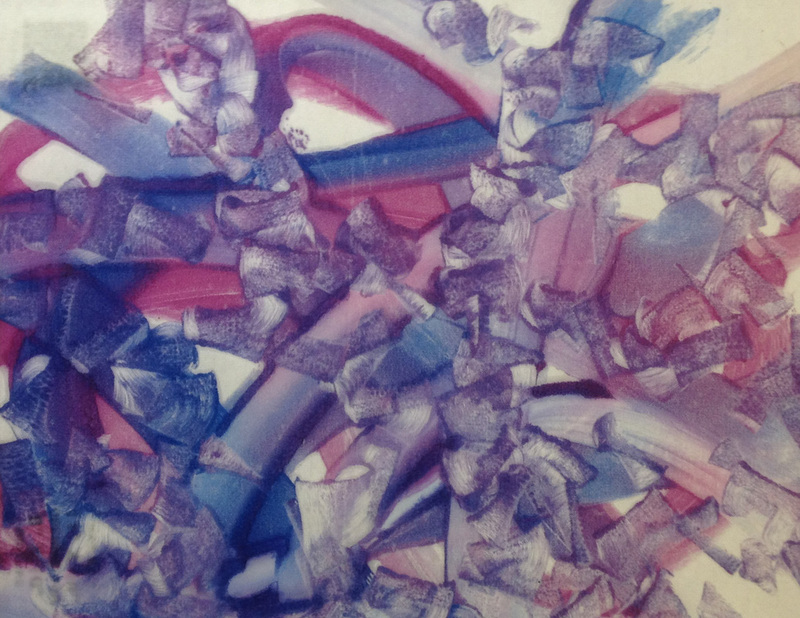 Because wax is used as the pigment binder, encaustics can be sculpted as well as painted. Other materials can be encased or collaged into the surface, or layered, using the encaustic medium to adhere it to the surface. Ebru is formed by carefully taking paint to draw patterns on thickened water. Paper is gently placed on the surface to absorb the colors, then lifted away, revealing brilliant and graceful designs. Each design is unique and can never be repeated. It is not possible to say exactly when or where the art of Ebru began. This is because Ebru’s produced in the past were never signed or dated. 500 years ago, however one of the first dated examples of Ebru illustrations was found on the bindings of a book. Despite the artwork being thousands of years old, the quality of the Ebru artwork remains the same. The origin of marbling art is not known exactly. The oldest recorded Ebru is dated 1544 is a writing of verse on light marbled paper. It is believed that the initial origins of Ebru travelled from other countries in western Asia before reaching Turkey. Lifecasting is a mold taken from any part of a persons body. A lifecasting is a unique piece of fine art that is three-dimensional and can be mounted on a wall or displayed in any fashion. Enjoy the beauty of your own body or the body of your loved one. A Lifecasting is a memory that one can touch. It is also a way of recording the changes in the life of the body: A Lifecasting might be made of a woman while she is pregnant or of a child's hands at different ages. The most common lifecasts are of torsos, pregnant bellies, hands and faces, and it is possible for an experienced lifecasting practitioner to copy any part of the body. Lifecasting is usually limited to a section of the body at a time. The standout feature of lifecasts is their high level of realism and detail. Lifecasts can replicate details as small as fingerprints and pores. There are a variety of lifecasting techniques. I use high grade dental alginate which is safe on the skin.